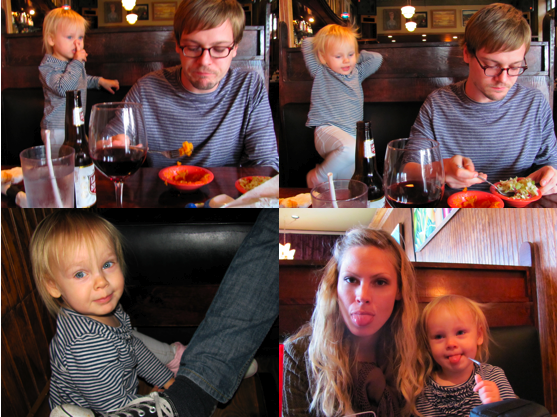 This was our lunch stop at Honky Tonk BBQ in Pilsen We thought she’d behave in the booth. Oh, were we wrong. And yes, one of those pictures is her UNDER the table. I guess she wasn’t in the mood for barbecue. 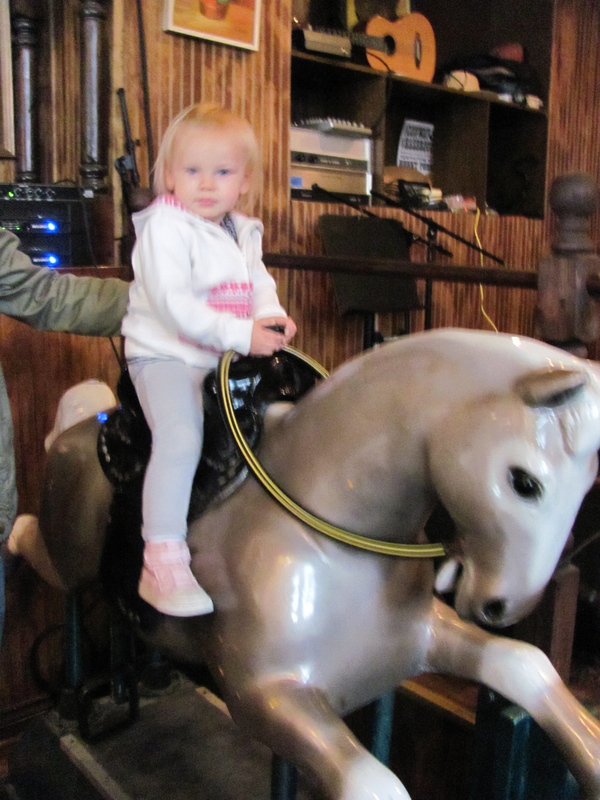 She did however like the live music [the musician even played an old-timey country version of Twinkle Twinkle Little Star for her] and the old horse they had in the back, that still worked when you put a quarter in! 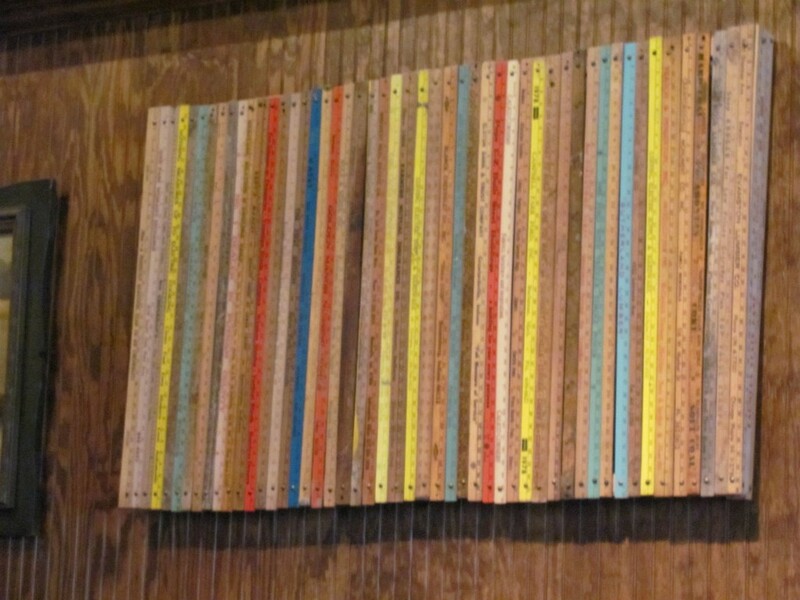 I was big fan of one of their pieces of art on the wall … made out of old yardsticks.